Does Santa Claus Love The Crimson Tide or What? Santa Claus looks a little down after the Iron Bowl and for good reason... his beloved Alabama Crimson Tide lost the Iron Bowl! Check out the Santa hat, as this is proof that Santa wears the Crimson & White proudly. 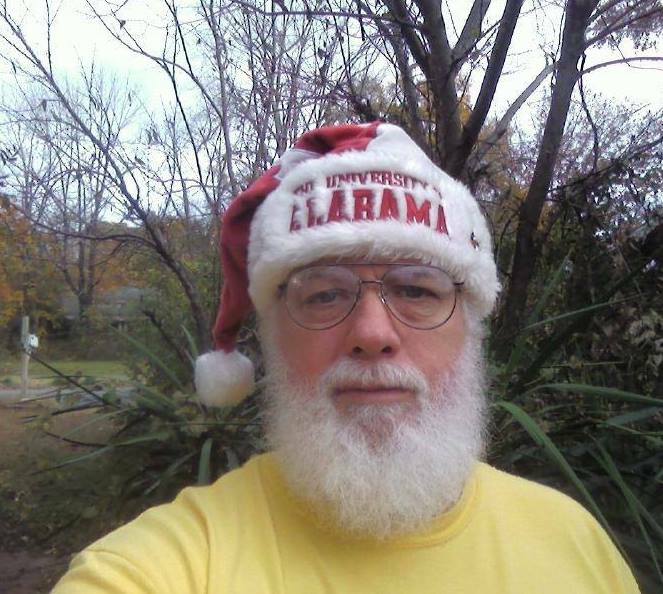 All kidding aside, this is not Santa Claus, but none other than Alabama superfan, James Crenshaw of Lanett, AL! If you see him, tell him Roll Tide & Merry Christmas! Want to see more Alabama Santa hats?